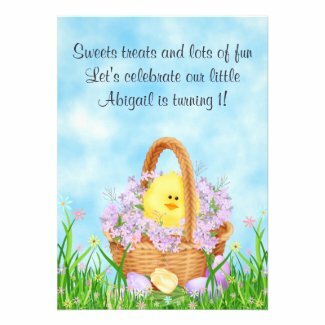 This collection of adorable Easter holiday themed party invitations is great for any first birthday. 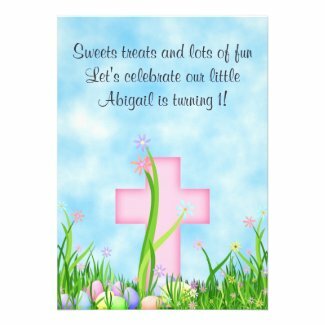 They feature a variety of cute animals, decorated eggs, crosses and baskets. 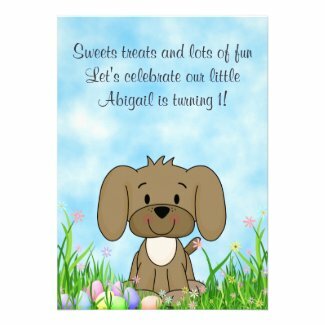 Each invitation can be personalized with a name and all of your party details. Just select your favorites below to view additional information and edit. 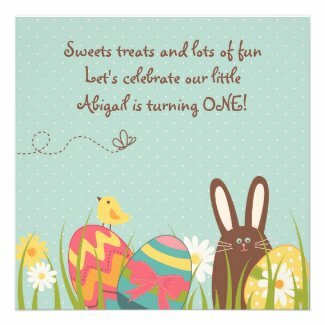 For even more cute holiday invitations take a look Easter Themed Birthday Party Invitations. 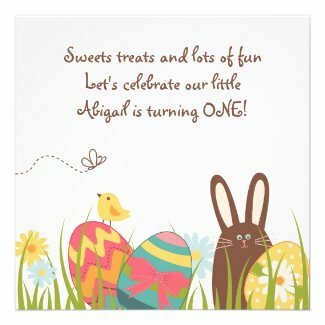 This site features a great selection of the cutest Personalized Birthday Invites for both Girls and Boys. You will also find great party ideas and matching supplies.